China’s search giant, Baidu Inc has announced that it is developing internet eyewear that will use Baidu’s strengths in image search and facial recognition. 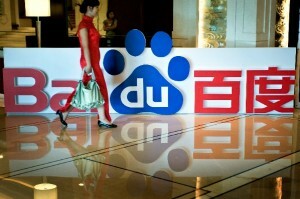 Internally known as project “Baidu Eye”, the glasses are being tested internally, a spokesperson said onWednesday. Baidu Eye has functions such as an LCD display, voice-controlled image recognition and bone-sensing. A user’s voice would control functions on the gadget such as making phone calls and doing basic web searches. The device would also recognise a user’s gestures to take and send photos. Kuo said comparisons to Google Glass were premature as Baidu has not decided whether or not to commercialise the product. “We haven’t decided whether it is going to be released in any commercial form right now, but we experiment with every kind of technology that is related to search,” Kaiser Kuo, Baidu’s spokesman said. “What you are doing with your camera, for example, taking a picture of a celebrity and then checking on our database to see if we have a facial image match, you could do the same thing with a wearable visual device,” Kuo said. The news website QQ.com, part of Chinese online-commerce giant Tencent Holdings Ltd, also said Baidu has been working with Qualcomm Inc to use the US semiconductor maker’s technology to extend the life of the Baidu Eye battery to 12 hours.